Last year, four Swiss brothers from Talen released a couple of EP's - New York Book and Kingston Book featuring heavyweights Sizzla, Cutty Ranks and underground legends Oddatee and Sensational. BBC1's host Mary Anne Hobbs took notice and dropped the debut on her show - positioning Talen amidst the cream of the Bass scene. 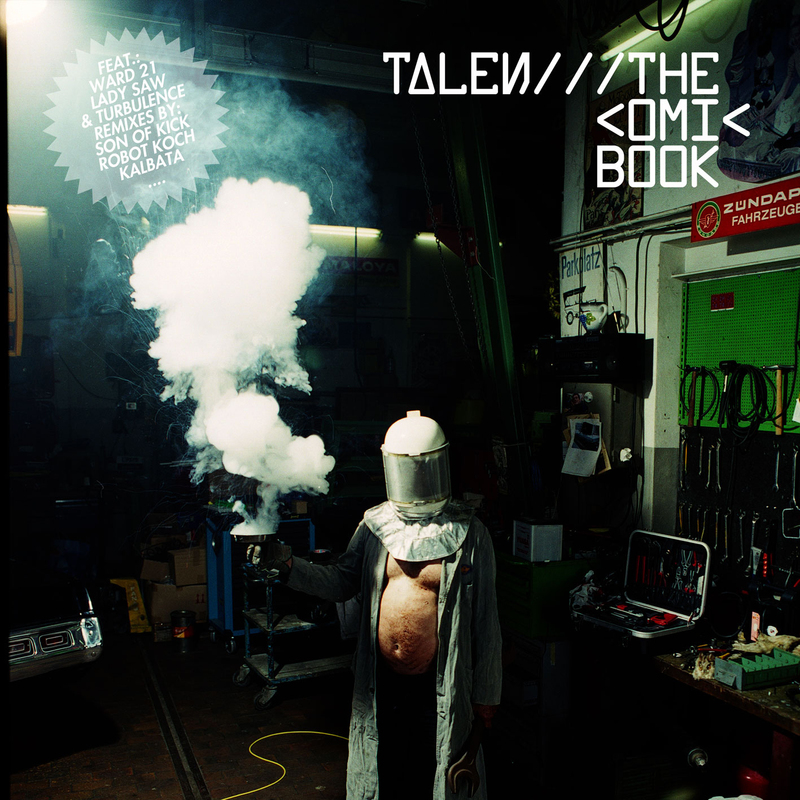 December, 13th 2011 they return with another heaavvvvvvyyy EP - The Comic Book on Mouthwatering Records. The EP features the vocal talent of Lady Saw,Turbulence and Ward 21. A real bomb of future Dancehall meets hard to categorize mutant electronica with remix duty handled by the Bass mafia international: Stereotyp, Kalbata, Robot Koch, Reverse Engineering, Son Of Kick, Filewile, I-Wolf and King Aron. Out of the originals, Green Lantern is my favorite - extremely infectious dancehall riddim featuring Jamaican super sound system crew Ward 21 with great guitar samples, pumping beat and totally uplifiting synths. I feel anthem and banger of epic proportions in this one! Bass Mafia did an outstanding job with remixes. Robot Koch's refix of Johnny Blaze liquified me to pieces with his cold, glitched-up bassline, while fantastic drums and ultra deep subs with tons of delays in Kalbata's remix of Batgirl changed the original into psychedelic tribal monster (free download below!) Son of Kick properly treated Talen's work with dubstep, while Stereotyp's tune is simply off-the-hook. Silly beat par excellence! I love it :)) The rest is equally good, trust my werd. Check your retailers next Monday (13 December) to grab this top class dancehall electro shizzle on 12" and in digital format. Really refreshing and inspiring package.